A few mornings ago, I was scrolling through Pinterest, when something caught my eye. An image with such a simple quote stopped me in my tracks. 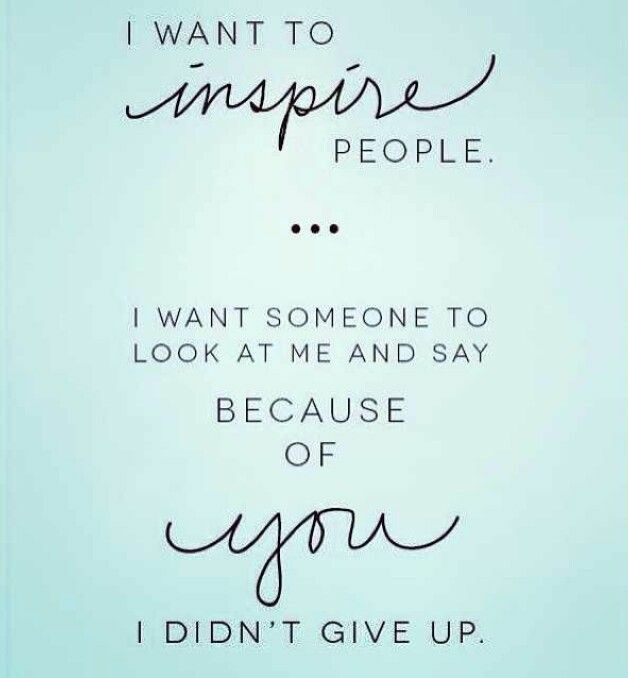 The first part read â€œI want to inspire peopleâ€. The past few weeks Iâ€™ve been doing a lot of soul searching trying to figure out in what direction my coaching practice was calling me. In trying to figure this out, the same question popped up in my head again and again â€œWhat is my purpose?â€ This image answered that for me. My purpose is to inspire people. I want to be that encouraging support that inspires people to live and grow. I very recently realized that I was called to working with people working through major transitions in their life- most specifically, people in recovery of alcohol addiction. Through personal experience, Iâ€™ve witnessed not only how hard living with an addict can be, but also how difficult moving through the recovery process is. Iâ€™ve witnessed how challenging it can be it is for the addict to realize they donâ€™t know themselves and even more so they donâ€™t know how to create a new life with their family that has moved through such trying times. I believe through the coaching process, itâ€™s possible for me to be their inspiration to see this experience in a positive light and move forward to new and better things. Since stumbling along this image, I have used it whenever Iâ€™m feeling a little stuck or overwhelmed with the coaching process. Remembering my purpose and the people I want to help inspires me to move forward. It is such a powerful experience being able to be an inspiration for someone else, and Iâ€™m extremely excited to continue on this journey. Many people think the hardest step of sobriety is that initial choice not to drink, but to me, the most difficult part is in that first year realizing the new challenges there are to face and that you now have to face them without your most trusted crutch. I want to be there as a reminder that you don’t have to face them alone.